Hi, I’m looking for the typeface used for the title on both sides. It’s close to recent fonts like Founders Grotesk or Maria Pro but as the album came out in 1962, it’s obviously neither one of them. Looks like Miller & Richard’s Grotesque No. 3. 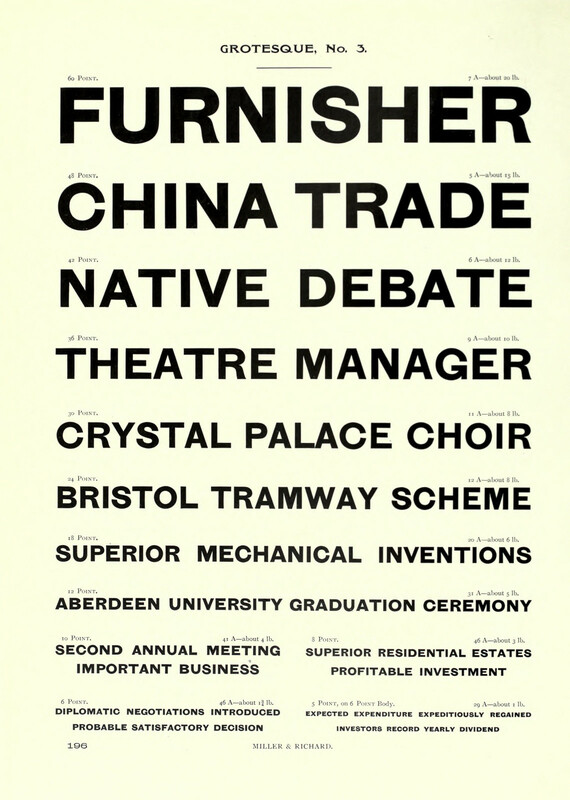 (one of the references for Founders Grotesk). Which is surprising because M&R stuff wasn’t often used outside the UK. I just saw that you posted it on Fonts in Use saying that the closest thing existing digitally is Founders Grotesk, so I guess I’ll draw my own version to keep the distinctive features of the original. Just discovered that ATF’s Times Gothic appears to be a revision of Grotesque No. 4 (which is essentially No. 3 with a lowercase). This is more likely the font used by Columbia/Epic in the U.S. Wooden Type Fonts a rough digitization of a wood version, but it's not going to match what you see above.